Kyle Busch Motorsports has made a change in its driver lineup for Thursday night’s UNOH 200 NASCAR Camping World Truck Series race at Bristol (Tenn.) Motor Speedway. Harrison Burton was scheduled to drive the No. 51 Toyota at Bristol, but because of an illness, he has withdrawn. 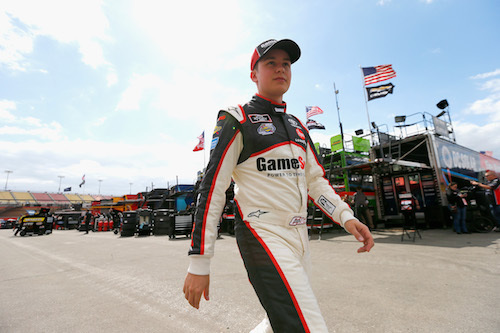 Instead, NASCAR Xfinity Series regular Christopher Bell will drive the truck Thursday night. Bell is the reigning Truck Series champion, an honor he claimed as a driver for KBM. Bell has 53-career Truck Series starts, all for KBM, resulting in seven wins, 26 top-fives and 41 top-10 finishes. Thursday night’s race will be Bell’s first series start of 2018. He finished seventh in both of his previous Truck Series starts at Bristol. Burton is racing a partial schedule for Kyle Busch Motorsports in the Truck Series. He is scheduled to run five more races for the team over the course of the remainder of the 2018 season, including next weekend at the road course of Canadian Tire Motorsport Park.